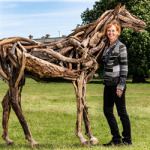 To cast a driftwood horse in bronze as a war horse memorial and erect it in Priory Park Chichester The sculpture will be a tribute to the thousands of The horses sacrificed in WW1 and other conflicts. It will be an educational tool and a catalyst to raise funds.This will be an on-going project to educate children on the role of the horse in warfare throughout history with emphasis on how war horses were depicted in art. The horse will be unique and will attract a lot of interest and publicity and act as a permanent reminder of the sacrifice paid by these animals alongside the brave men and women in WW1.It would make a wonderful visual centrepiece around which to tell the history. 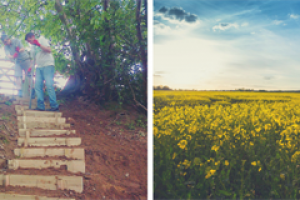 I live in Chichester and I am an artist and sculptor and a qualified teacher specializing in Fine Art and History of Art. I am an animal lover and have owned horses all my life. I use my art to raise money ofr charity and have been commissioned by World Horse Welfare and The Bob Champion Cancer Trust. 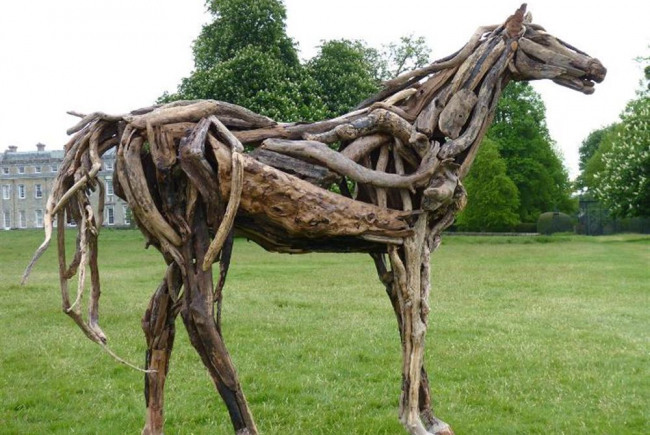 I have been Artist -in-Residence at Goodwood and Fontwell Park Racecourses. I am also passionate about wildlife and the environment.